A nugget of data in Microsoft's Insider builds provides one of the only clues. Windows Cloud: That name has appeared in system files deep within some of the most recent Windows 10 Insider builds. 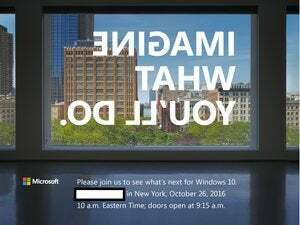 While a few experts guess it could be a new version of Windows, what it actually is remains a mystery. ZDNet’s Mary Jo Foley, however,unearthed one other key bit of information: Instead of an operating system that lives in the cloud, as the name suggests, “Windows Cloud” is actually an operating system that can only run Microsoft’s own UWP apps, downloaded from the Windows Store. Foley draws the obvious conclusion: Windows Cloud is essentially the second coming of Microsoft’s unpopular Windows RT. The Windows Cloud smoking gun, as discovered by Walking Cat. Windows RT was the operating system that powered the original Surface tablet as well as the Surface 2. Users criticized it for its inability to run anything but a limited number of apps directly from the Store. (At the time, Microsoft’s “universal” apps were in their infancy, while the vast majority of Windows applications were coded for the Win32 environment.) 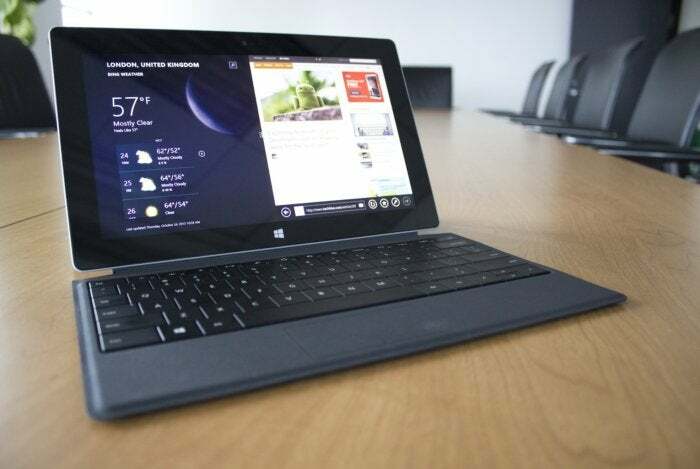 Though Windows RT had its fans, most customers quickly turned to the more advanced, Windows 8-powered Surface Pro tablets, and the Surface 2 quietly died in 2015. Windows Cloud, though, may actually prove to be useful in specific applications, including schools. Foley reasons that Microsoft developed Windows Cloud to fend off the wave of Chromebooks sweeping across schools. Over half of American classrooms use Chromebooks, according to a Futuresource study released last fall, and their simplicity has made them attractive to school administrators. That hasn’t gone down well with Microsoft, which is working to recapture the classroom for Windows. Microsoft believes that its recent Intune for Education device and app management software is an important part of that. Further locking down those PCs with a dedicated OS would make a Windows 10 PC even more attractive, while offering digital inking and other features that Chromebooks lack. Microsoft has already indicated that a partnership between itself and Qualcomm will allow Windows 10 (and Win32) apps to run on Qualcomm’s ARM chips—the processor that some Chromebooks already run on. One might think that Windows Cloud might be the name of the new, Windows on ARM OS—but if Microsoft plans to lock it down to UWP apps, then its Win32 compatibility would be effectively nullified. So is Windows Cloud actually Microsoft’s bid to take over the classroom? Microsoft declined to comment, so we’ll have to wait and see. Why this matters: Because consumers soundly rejected Windows RT, it stands to reason that Windows Cloud will be a pretty niche offering—assuming all the reporting about Windows Cloud is accurate, of course. One thing to keep in mind: While we all value Windows’ complexity for general-purpose computing, the capability to lock it down to a single app or focus can be extremely useful. That’s why several versions of Windows offer “kiosk mode,” where Windows 10 can be locked down to a single app. The new Intune locks down Internet access during test mode. It sounds like Windows Cloud might offer just a bit more flexibility while still maintaining control. Updated on Feb. 1 with additional details.